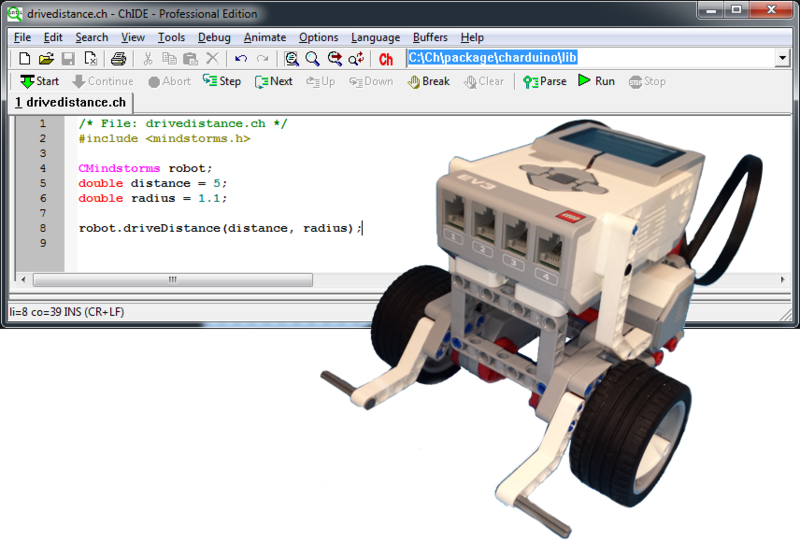 C-STEM Studio contains Ch Mindstorms Package. It can be used to control multiple NXT/EV3 conveniently. Many sample applications with flowcharts and source code using Ch Mindstorms Package are available, including autonomous vehicle, machine robot, humanoid, line following, light reaction, edge avoidance, object avoidance, maze solving, object finding, and robot chasing. C-STEM Studio also includes Ch Mindstorms Controller (CMC), a user-friendly tool to control and program a single or multiple Mindstorms NXT and EV3. Both NXT and EV3 are controlled and programmed identically. CMC provides scaffolding to control and program in Ch for NXT/EV3. 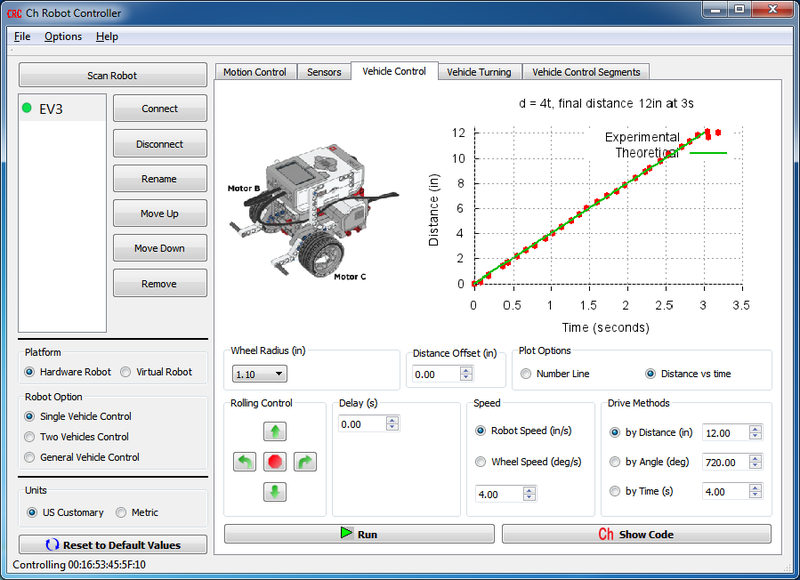 The robots can be controlled either through the user-friendly GUI or the generated Ch program. CMC is considered to be the most effective and efficient tool for using NXT and EV3 to learn math and science. The PDF file of the textbook “Learning Robot Programming with Lego Mindstorms for the Absolute Beginner” and “Ch Mindstorms User’s Guide” are included in C-STEM Studio. Controlling an EV3 or NXT in a Ch program. 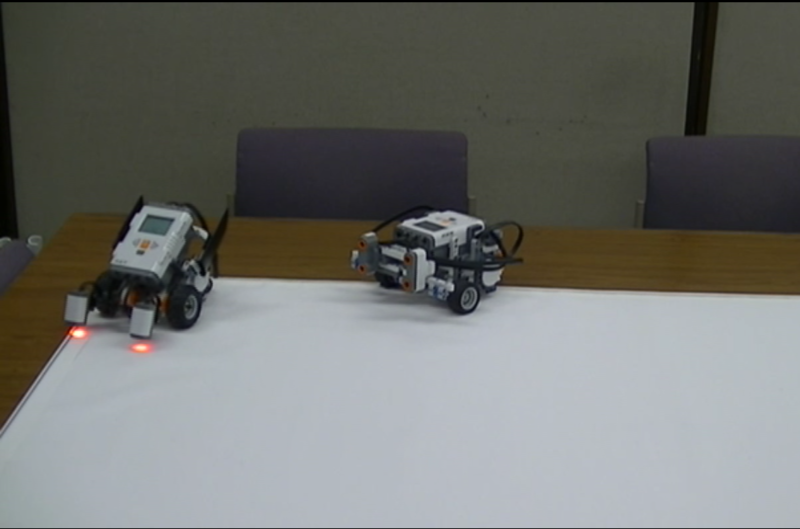 A sample video of two Lego Mindstorms NXTs chasing each other, programmed with Ch Mindstorms Package.